5 vendors have this plant for sale.41 members have or want this plant for trade. Not native. That's Pulsatilla patens, which has similar flowers, but much less foliage. This one is better suited for a garden/landscape, I think. 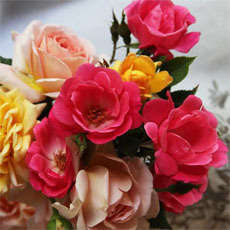 Blooms can be a variety of colors (purple, deep red, white). Pros: Three-season interest. Nice blooms, seed heads and foliage. No problems from rabbits. Very early bloomer. I bought this plant at a local plant sale 3 yrs ago. It has thrived in a front yard bed with northern exposure. 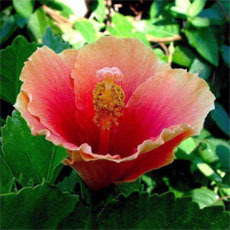 The color is a lovely dusty rose and blooms for several weeks. I amended the soil with compost/manure at planting and don't do much else but water when needed. When it gets big enough to divide, I will take some up to the lake house, an hour north of Dayton, and try it there. It should be fine. I adore this plant - it is literally the first thing up in the spring with the pulmonarias. It blooms seemingly straight out of the ground, with no leaves - just fuzzy blooms. Mine is in bright morning sun until about noon and seems to thrive and persist through our variable winters. This is a European species. The one native in North America is Pulsatilla (or Anemone) patens. Pasque flowers are native to this area. We go out looking for them around Easter -- a very welcome sign of spring! I love pulsatillas, and I would suggest that this is the most beautiful 'vulgaris' in the whole plant kingdom. Belfast is (more than) a bit wet for them, but I have nursed a few through from seed and am starting to get the lovely flowers. No self-respecting garden should be without one! 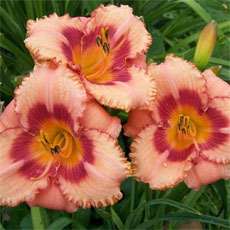 I planted these in 1997 and enjoyed this plant year after year each early spring when it bloomed. I had it planted in heavy clay soil on a small "bump"in one of my hillside gardens. It did well, enlarging slightly each year until we started having excessively wet years - several in a row, where the ground has never gotten a chance to really dry out. As of this year (2005) the clump has almost disappeared. 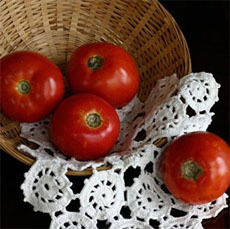 I grow this in full sun, western exposure in fairly heavy (clay-based) soil. It seems to like the hot, dry location. 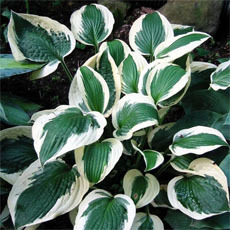 I love this perennial - two or three of the hybrids have white flowers - I happen to have one of them, along with the standard purple one and the "rubra" which is a purplish-red. It blooms in spring along with hyacinths, etc. But what really stands out about this plant is the fine-textured foliage; also the very feathery seed heads (looking almost like dandelions) last for several weeks. When seed heads strt to fade, you can cut back the foliage - it will grow a fresh "crop" of the beautiful foliage, which then looks great all summer! It prefers moist, well-drained (what plant doesn't?!) soil in part sun - mine multiply on the east side of my home. I love this little plant. It's at the northwest base of my floribunda rose and japanese maples bushes, so it gets partial shade. It has a pleasing domed shape, so I keep surrounding plants from crowding it. Purple flowers, nut the foliage is also beautiful. 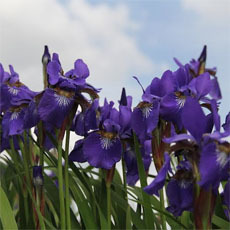 This is low growing plant has nodding lavender purple blooms with bright golden stamens and it is suitable for rock gardens or the front of the perennial border. 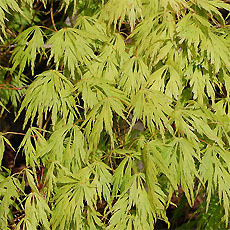 The foliage is deeply divided and covered with soft silvery hairs. 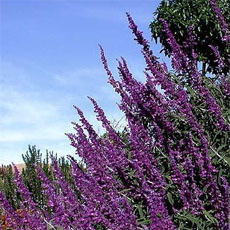 They are quite drought tolerant once established and prefer a sunny location with well-drained soil. An added bonus is the attractive seed heads that remain on the plant for several weeks after the plants have finished blooming. 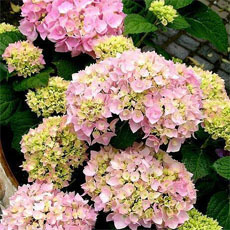 Cultivars in red, white , and pink may also be available at garden centers.